Clean contemporary lines are perfectly complemented by softer more laid-back West Indies style embellishments on the front façade of this home built in downtown Naples, Florida. 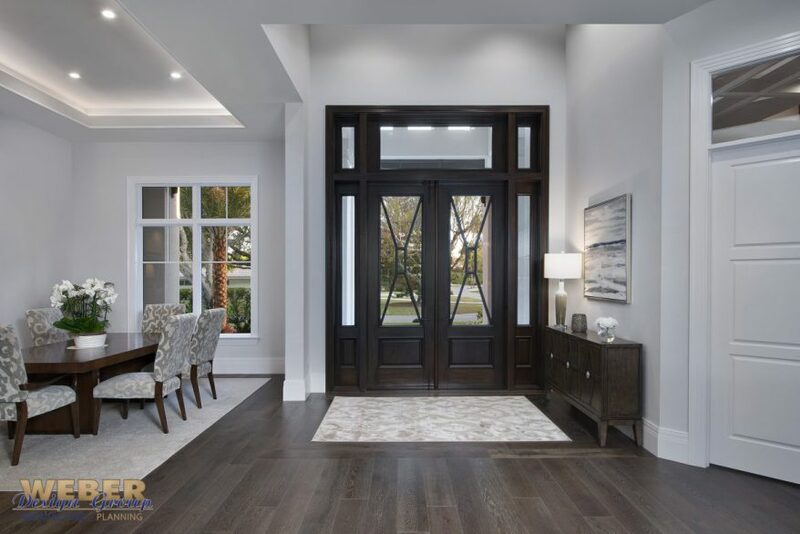 The raised entry and covered front porch bring you to a 12’ Mahogany and glass door flanked by two large windows that allow natural light to flow abundantly into the foyer. 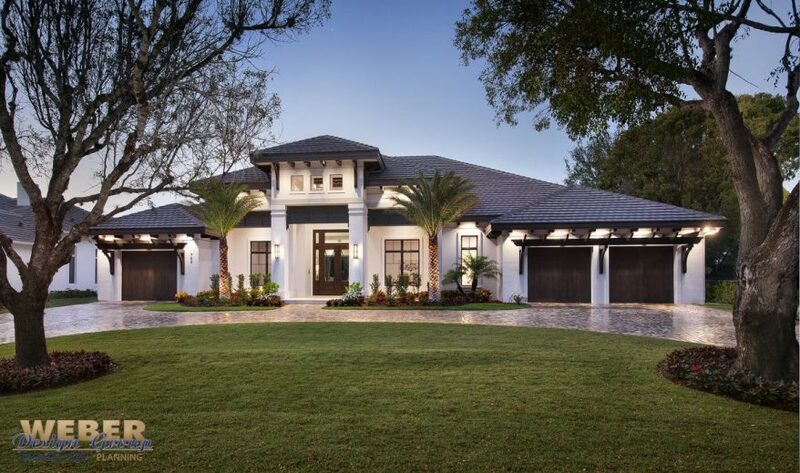 Bahama shutter accents and pergolas over each garage door provide a wonderful contrast to the smooth stucco finished exterior with flat tile roof. 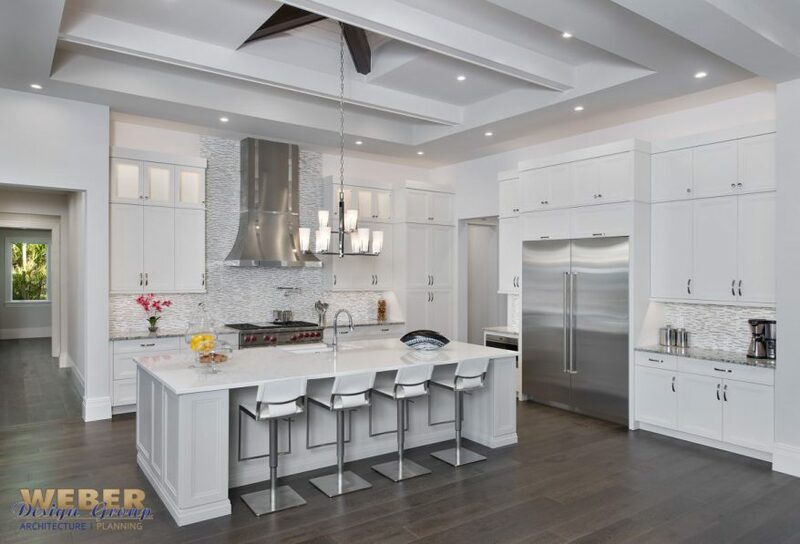 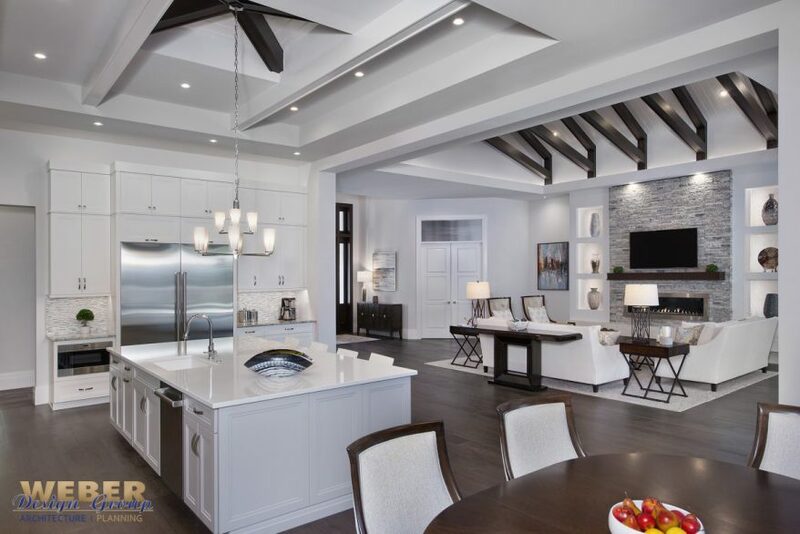 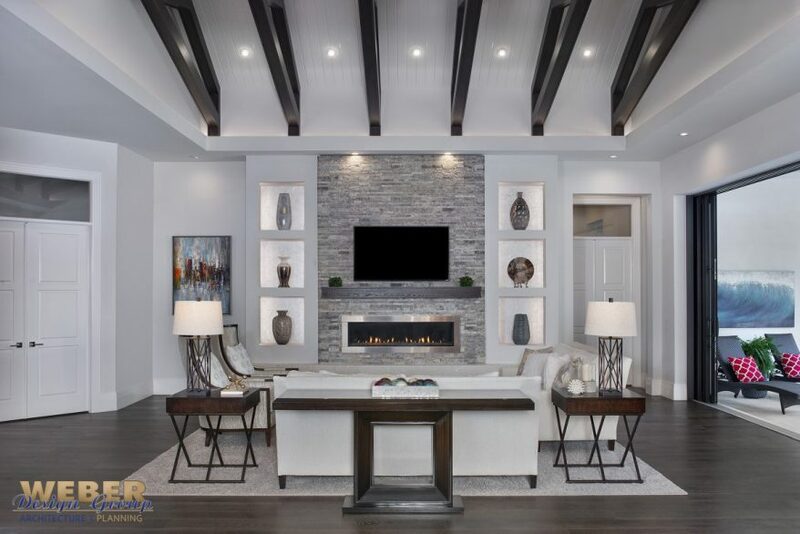 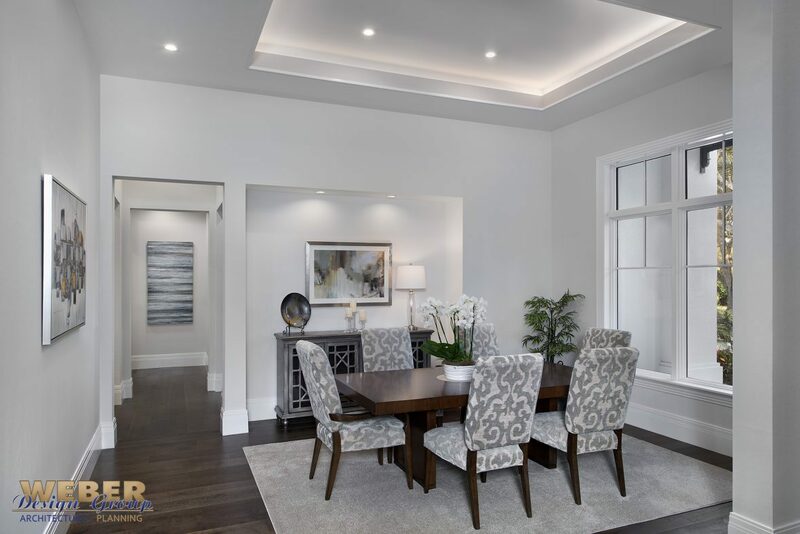 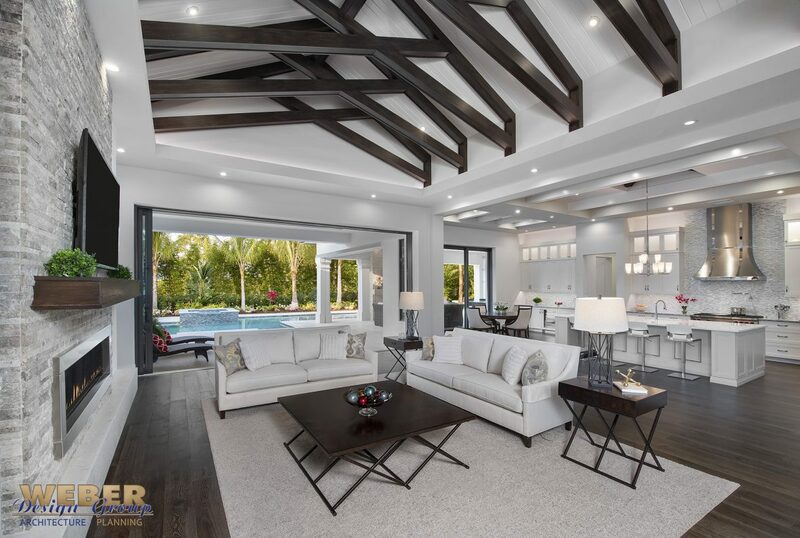 Entering the foyer of this transitional coastal home with contemporary design, you are greeted immediately by a breathtaking wide-open space where the great room meets the large island kitchen underneath a gorgeous soaring 19’ ceiling with exposed beams. The home comprises 4 en-suite bedrooms, 4 full baths and 1 half bath in nearly 4,600 square feet of living space. 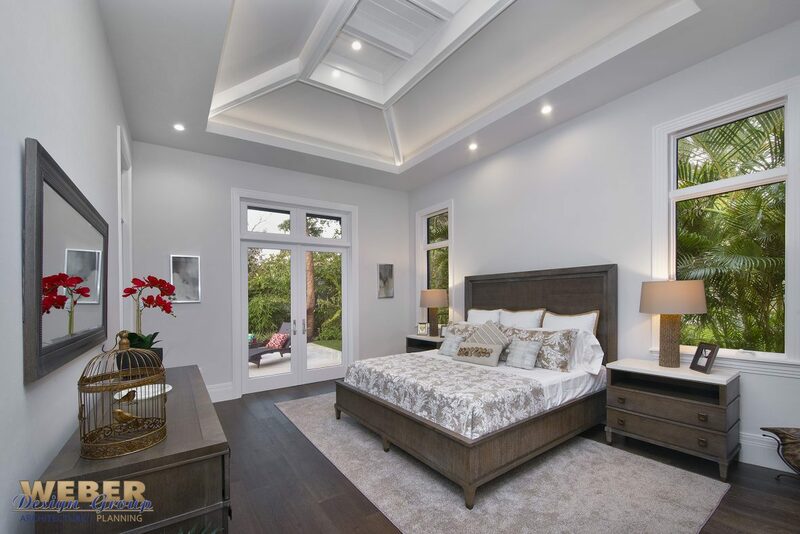 It features a luxurious master suite with a morning bar, two walk-in closets, and an opulent master bath with huge shower and soaking tub. 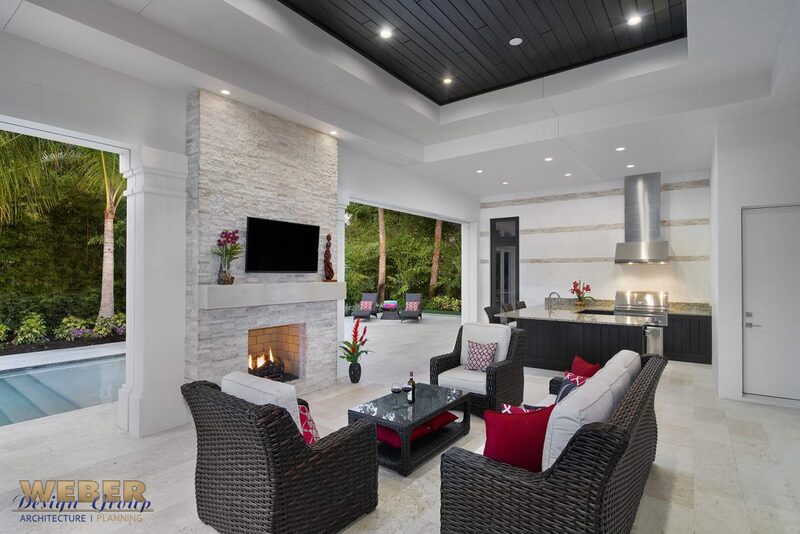 The 1,158 square foot outdoor living space is ideal for entertaining year-round and includes a well-outfitted outdoor kitchen and a stone-faced fireplace under a gorgeous tongue-and-groove cypress wood ceiling.